If you love eyeshadow like me, you'd know the importance of having a great eye makeup remover. 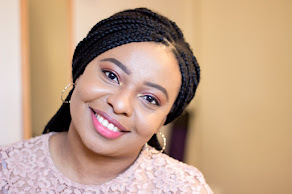 I have tried quite a few eye makeup removers and I have narrowed down the qualities I look for in a good one. I usually look out for an eye makeup remover that removes all my eye makeup (including waterproof mascara), non-irritating (because I have sensitive eyes and wear contact lenses) and non-greasy. Most importantly, I want an eye makeup remover that is sensibly priced and I think I have found one that ticks majority of these boxes for me. 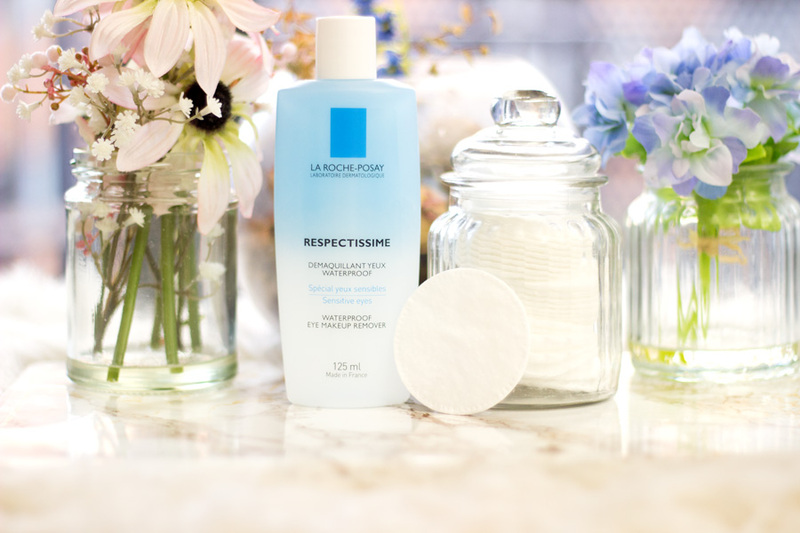 It's none other than the recently launched La Roche Posay Respectissime Waterproof Eye Makeup Remover. 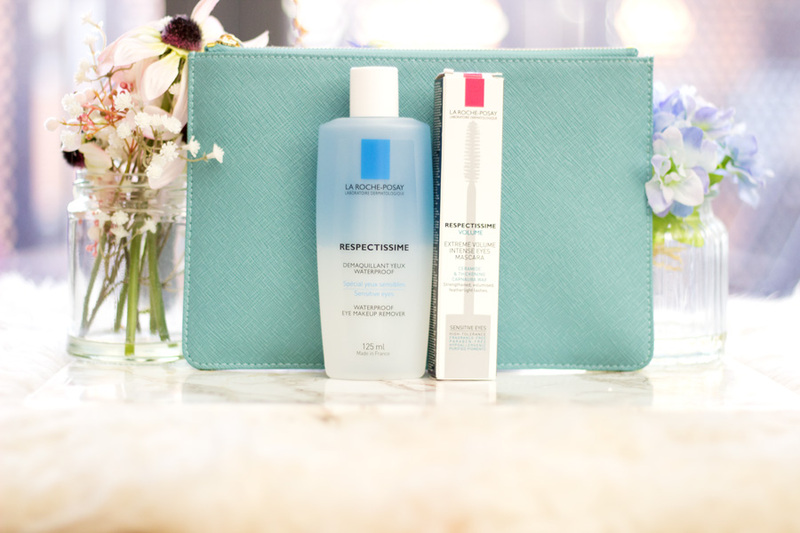 I was really excited receive two products from the Respectissime range in the post last month. 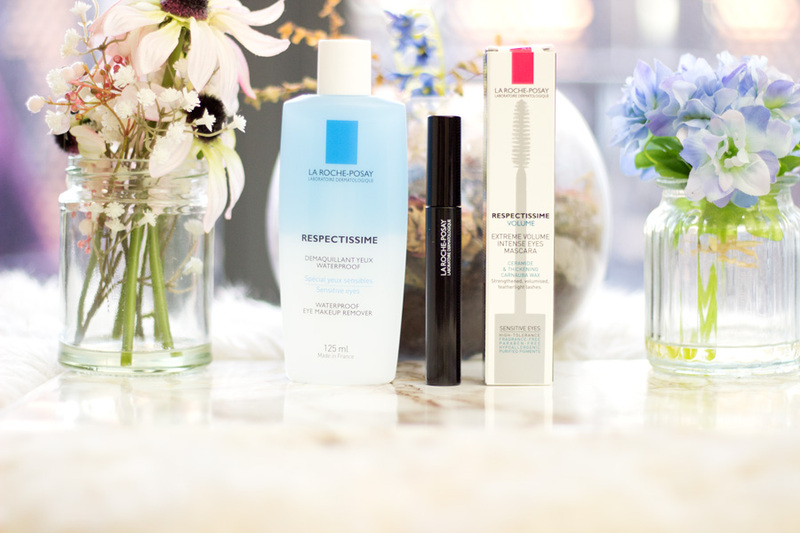 I got the Respectissime Waterproof Eye Makeup Remover* and the Respectissime Mascara Volume* and I have been enjoying them so I wanted to share my thoughts on them. 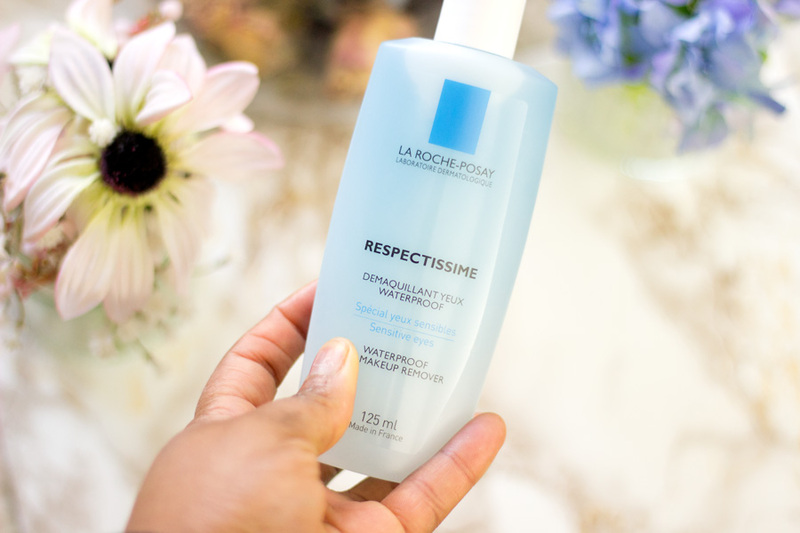 La Roche Posay specifically designed the Respectissime range for anyone who has sensitive eyes and struggles to find the right eye makeup products. The range offers protection and tolerance as well as cosmetic benefits. 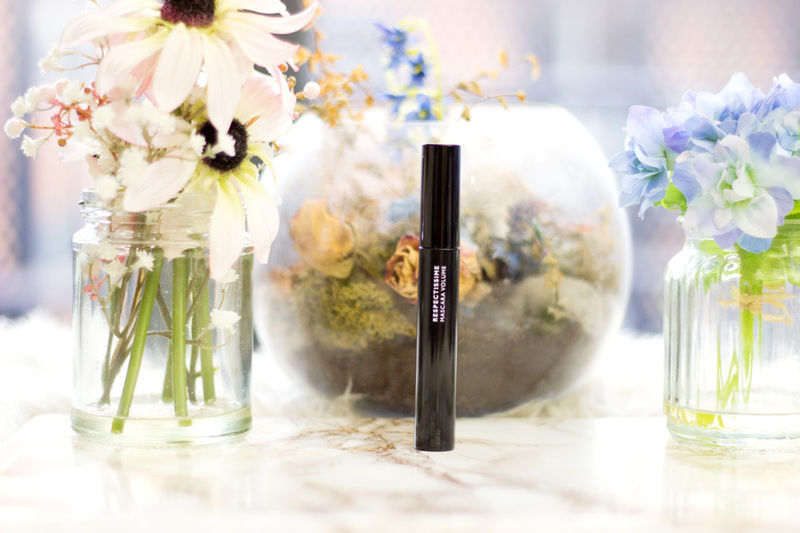 There are four mascaras within the range- Respectissime Volume Mascara*, Respectissime Multi-Dimensions Mascara, Respectissime Extension Length & Curl Mascara and the Respectissime Waterproof Mascara. There is also the Respectissime Waterproof Eye Makeup Remover * and I think it is commendable for a brand to make a suitable eyemakeup remover for their eye makeup products. I am sure you are wondering what makes the Respectissime range suitable for sensitive eyes and unique among other brands. I am totally with you and I always look for the evidence to back any claims even before I even test it for myself. 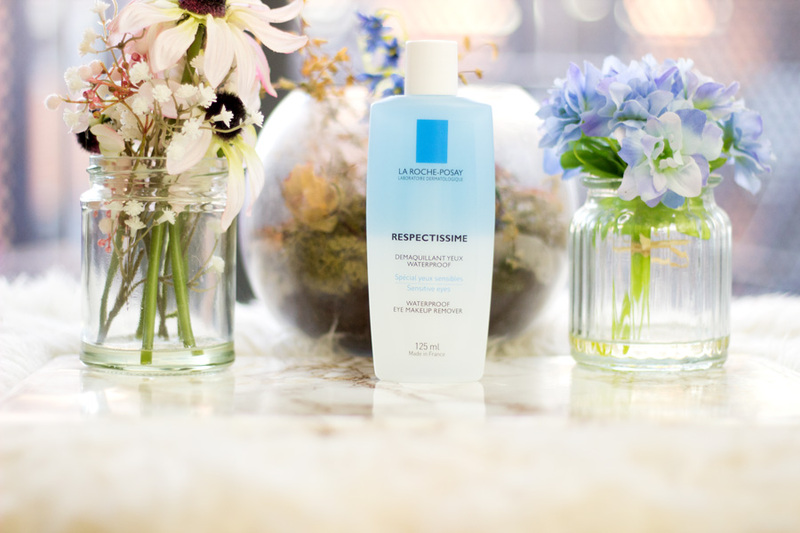 To begin with, La Roche Posay have carried out rigorous tolerance testing of the range on people who have sensitive skin (under dermatological and opthamological control). The range is fragrance-free, paraben-free and the mascaras contain only purified pigments to avoid irritation. 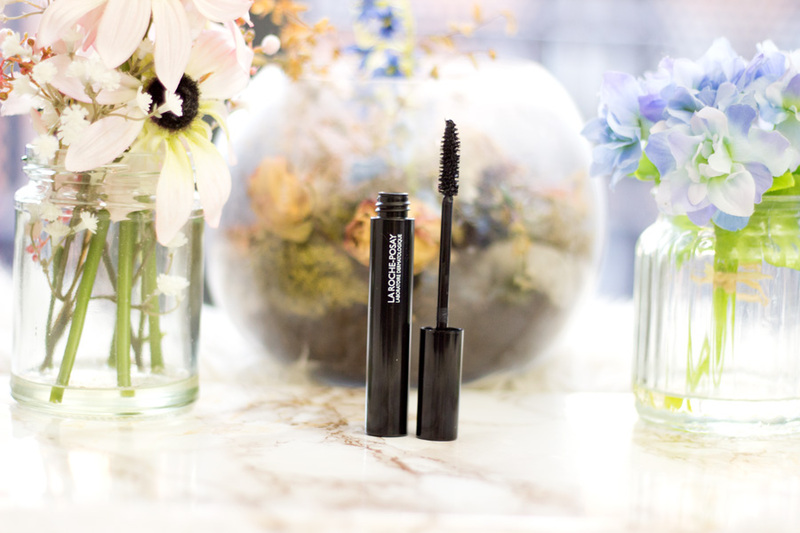 The mascaras also contain an anti-tears formula which imitates actual tears composition and this ensures the eyes do not react or run . They are suitable for contact lens wearers (like me) and anyone who has sensitive/easily irritated eyes. Armed with this knowledge, I was ready to try the products out to see if they lived up to these claims. You all know how I am on the hunt for the perfect mascara as I have only found one that has completely wowed me (YSL Baby Doll Mascara). I don't think the problem I have is with the mascaras rather it's more to do withthe way my lashes are shaped. They are really short, curly (at least I never need to curl them-hurray) and they lack volume. The entire story is that they are almost non-existent without any mascara so I always wear mascara unless my eyeshadow just looks weird. Anyway, I was very excited to try out this new Respectissime Mascara Volume mainly because I liked the idea behind the range and I love the size. I have now realised that miniature mascaras work best for my lashes regardless of what brand it is. 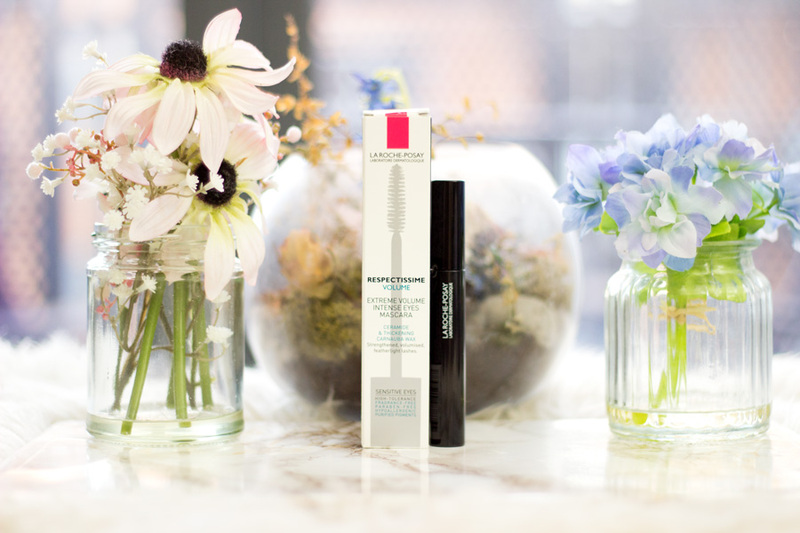 The Respectissime Mascara Volume is smaller in size than other regular mascaras but it is much larger than a mini size. 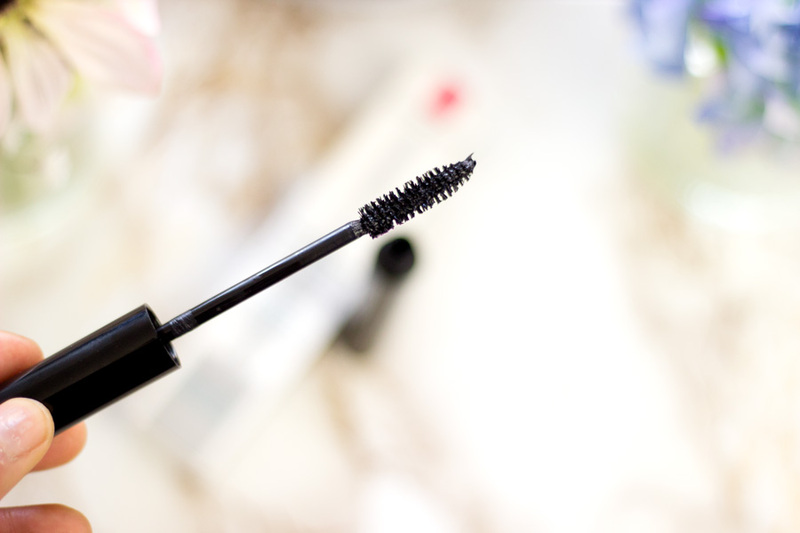 It contains 5.9 ml of product which is the same amount in many mascaras. 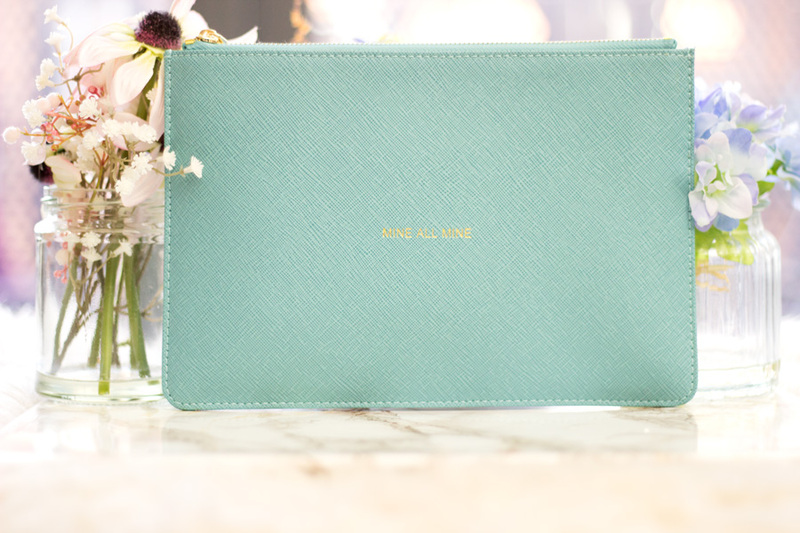 For me, it is the perfect size for my lashes as everything works so well. 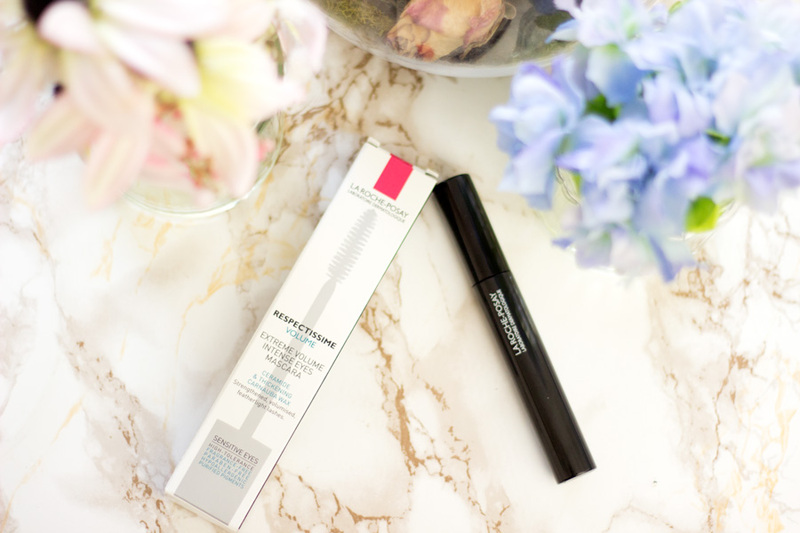 The Respectissime Mascara Volume is developed with a unique Lash Expanding Technology which uses a low density formula to coat the lashes and inflate them without weighing them down. This totally sounded like my kind of mascara. I have to say I absolutely agree with their claims. 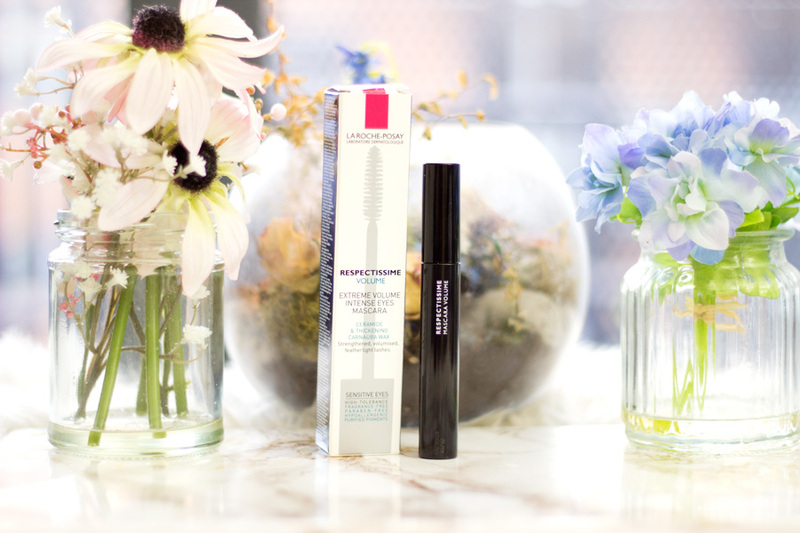 The Respectissime Mascara Volume gives my lashes a really good lift and length (even though it is a volume mascara). I do have to use two layers for my lashes to see a dramatic difference and sometimes, I just use a lengthening mascara underneath. Whichever way I use it, I adore the results and I have not been reaching for my YSL Mascara as much which says a lot!!! Most importantly, I love that this mascara does not feel clumpy on my lashes (it is really lightweight) although I would not necessarily classify it as a separating mascara. In terms of lasting power, it does last all through the day until I get back home to take it off. When I apply the first layer, I allow it to dry slightly before going in with the next layer. I find this method gives me the best long lasting results. If you have normal lashes, I think one layer will totally be fine and you don't have to layer it like me. I have honestly enjoyed this mascara so much more than I expected. At £16, it is mid-range priced mascara and I know there will be some discounts in some retailers where you can purchase it for less. Even at its full price, I think it is worth the price. Lastly, I think it definitely lives up to its claims around being excellent for sensitive eyes and contact lens wearers. It's already a favourite for me and I am so glad I got to try it!! I think anyone who loves a eye makeup will agree that having a good eye makeup remover is a must-have. I have tried a lot of eye makeup removers and it's really difficult to find one that works well without leaving a greasy feel. Some of the eye makeup removers that are non-greasy tend not to effectively take off my eye makeup. However, I think I have found a new favourite that has even taken the place of my beloved Clarins Gentle Eye Makeup Remover. 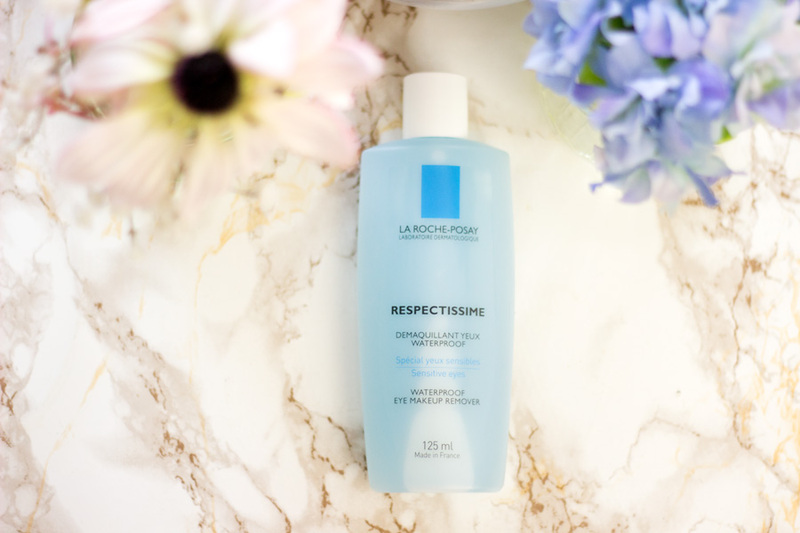 The Respectissime Waterproof Eye Makeup Remover is specifically developed for sensitive eyes and anyone who struggles with finding the perfect eye makeup remover. It is a bi-phase formula which means it is made up of part oil and part water which I find is the best formula for removing eye makep including waterproof and glitter eye makeup. 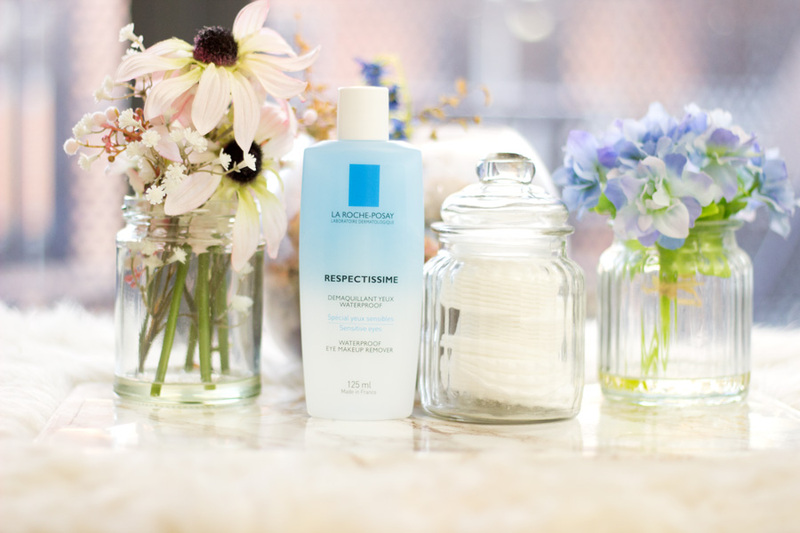 Just like the Respectissime Mascaras, the Waterproof Eye Makeup Remover is fragrance-free and paraben-free and this reduces the risk of irritation and damage around the eye. 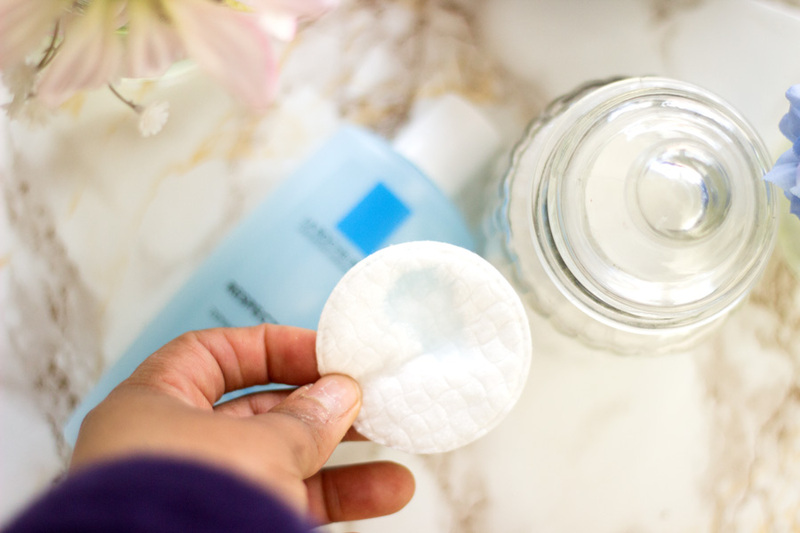 I know many people have not considered the damage some substandard eye makeup removers can do to the eye area. The skin around the eye area has one of the thinnest layers compared to other parts of the body. This is why many skincare products always advice you to avoid using their products around these areas. Using substandard products around this area including eye makeup removers can cause damage which you may not see immediately but could show up over the years. This is one of the reasons why I always opt for a separate eye makeup remover to take off my eye makeup rather than a regular micellar water. This is why I was really interested in trying out the Respectissime Waterproof Eye Makeup Remover. First off, it takes off my eye makeup with a swipe. I usually give the bottle a good shake as it is bi-phase so I need the oil and water parts to mix well. I tip the bottle over to get a small amount onto my cotton pad and the opening on the bottle allows the right amount to be dispensed. I don't rub off my eye makeup rather I just press it gently against my eye and let it sit for a few seconds. I gently wipe it off and my eye makeup is gone. I use one cotton pad for each eye. Sometimes, I flip it to the other side and add more product to get off my mascara if I am wearing waterproof mascara. Most times, it comes off on the first swipe but a few times, I have had to go back just a second time. I am still shocked at how much product I have left even after almost a full month of using it (will share a picture of how much I have left on Instagram this evening). The best part for me is that I am not left with messy panda eyes or a very greasy feel on my eyes after using it. If I don't shake the bottle well, I may have a very light greasy feel (very negligible). I ensure I give it a vigorous shake to avoid this happening. I am very impressed with this Eye Makeup Remover!! I think it's an amazing bargain for £11 given how long it lasts and how effective it is yet gentle on the eyes. 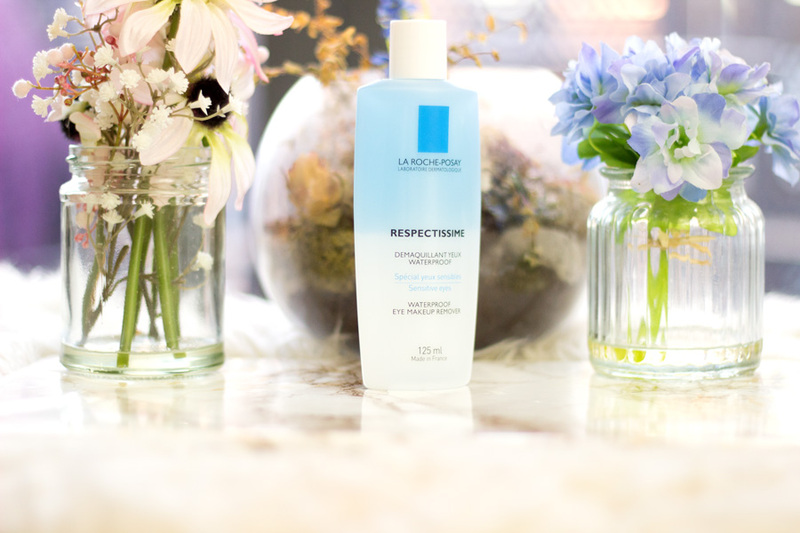 The Respectissime range is available to purchase from a handful of retailers including Dermacentre, Boots, Escentual, Superdrug, Feel Unique, etc. As mentioned earlier, these retailers always have discounts so I just purchase from any one that has the best offers or loyalty points. 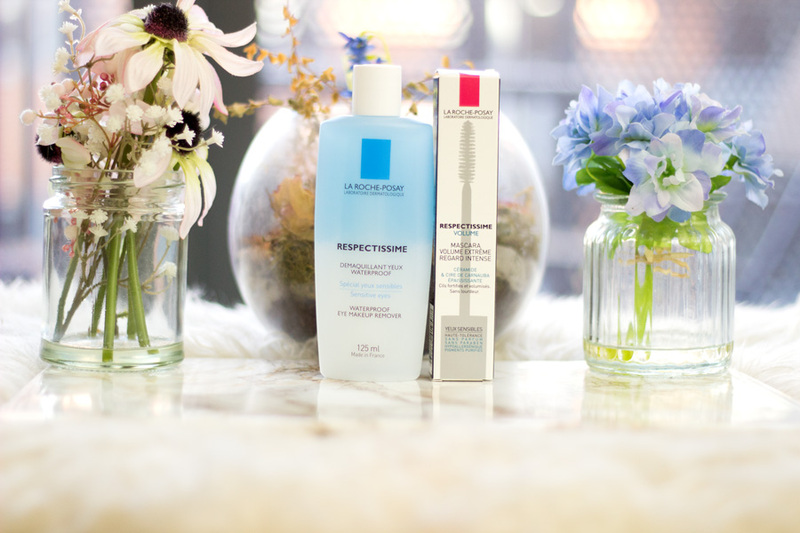 I am so glad it is so easy to buy La Roche Posay products now from the drug store as it was previously sold in select online retailers. There's something so nice about going in-store and buying your favourite products.